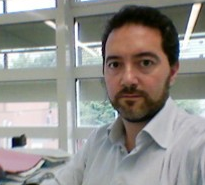 RICCARDO LORENZO ROSSI is molecular biologist and analyst. Graduated in biological sciences at Università degli Studi di Milano, he obtained his doctorate (Ph.D) in industrial biotechnology from Università Bicocca of Milan. He worked as a senior postdoctoral fellow at the University of Washington in Seattle, USA, and subsequently studied management and corporate strategy at the Sole24Ore Business School of Milan. Riccardo is promoter of the initiative Mappacervelli.org, aimed at the study of the Italian brain drain, has contributed to the creation of ISSNAF , Italian Scientists and Scholars in North America Foundation, and worked as an independent documentary filmmaker. He currently works as research scientist at the INGM Foundation of Milan, where he coordinates a group of analysts. Riccardo is co-founder and member of the scientific committee of a startup in the field of medical informatics in Lodi . His scientific work has focused on the cell cycle, transcriptional regulation, non-coding RNA, transcriptome in clinical and immunological fields. His interest in data analysis encompasses sequencing technologies , data visualization and integration in both the biological science and the social sciences.